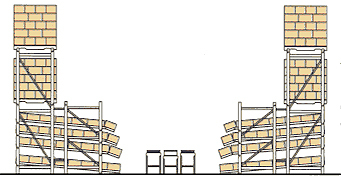 Span-Track can be added to single and double deep pallet racks. No shelves or intermediate supports are required. Profiling racks is easy with a combination of Low & High Profile Span-Track. Pick access and visibility are maximized. 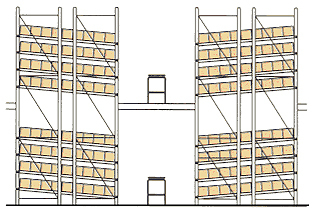 Adding Span-Track maintains all the features of your pallet rack and mezzanine. Typical Loose Pick Application. Contour profile with Knuckled Span-Track.